The Kolkata Derby between East Bengal and Mohun Bagan has been one of the oldest and most prestigious rivalries in the world. 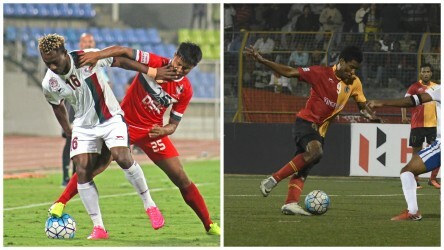 History was scripted, legends were forged and brilliant performances were delivered in this derby in order to register just another win over the bitter rival in the past and the ferocity will surely continue to be that way on Sunday when East Bengal host arch-rivals Mohun Bagana. 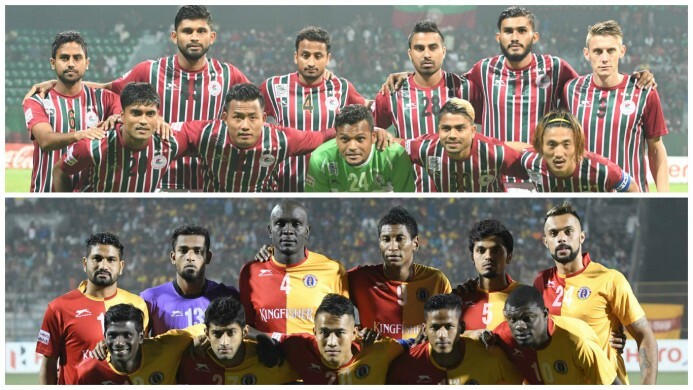 With just one more day to go for one of most famous football rivalries to kickoff, Khel Now looks forward to the three key battles that will shape the 359th Kolkata Derby at Kanchenjunga Stadium, Siliguri. A late bloomer, Plaza is already taking the I-League by storm, having scored five goals in seven appearances for his club. 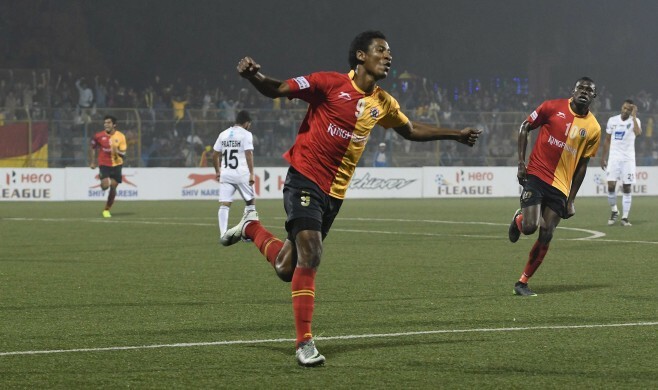 The Trinidad and Tobago international is already being regarded as one of the finest dribblers in the League which gives East Bengal an edge over arch-rivals Mohun Bagan. A master of trickery, Plaza also possesses a poaching quality and has proved himself to be a fine finisher in front of goal. The East Bengal striker offers pace and his positional sense makes him a threat to reckon with in terms of long balls and crosses. Meanwhile, Eduardo has been sidelined for quite some time after picking up injuries previously. The Mohun Bagan defender has been the subject of several criticisms regarding his performance and injuries this year but whenever appeared for the Mariners' side, Eduardo has shown glimpses of his true potential while defending. 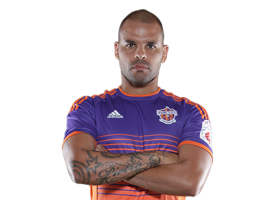 The Brazil-born defender brings the much-needed physical presence in the rear guard and could be a key figure in terms of stopping East Bengal's Plaza in the Mohun Bagan box. Standing at 6 feet 1 inches, Eduardo also ensures the Mariners' of any kind of aerial threats and will be a key figure while defending corners. Among other qualities, the Equatorial Guinean also offers a fast display against the sudden acceleration of opposition forwards, which will come in handy for Mohun Bagan denying Willis Plaza any space in the final third. The Mariners currently possess one of the best striking line-ups in the country and their performance in the league and the AFC Cup sums it well. Duffy, a summer signing for Mohun Bagan in the previous year, has been in scintillating form since the beginning of I-League this year. 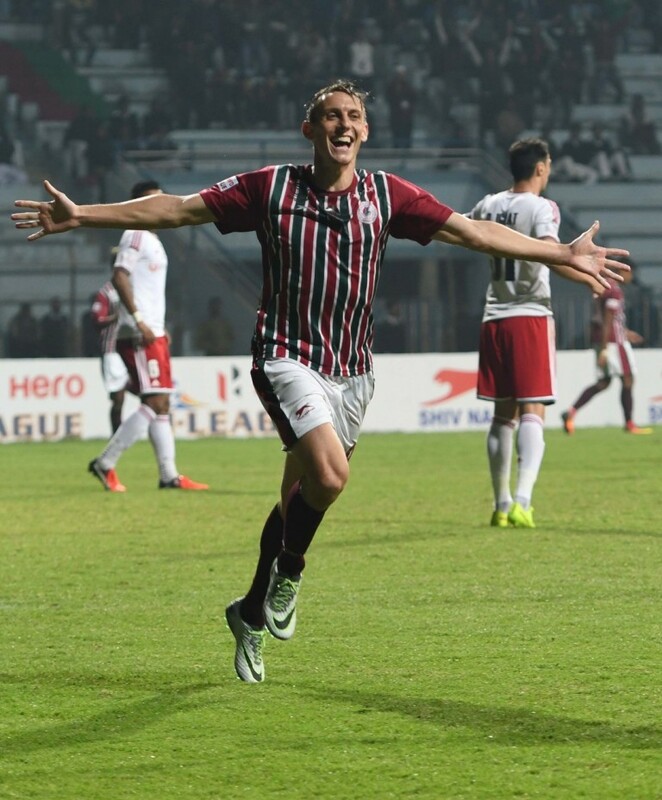 As the season has progressed, Duffy has emerged as one of the leaders in the Mohun Bagan team, which has seen the Scot score six goals in that many outings till now. A master of turning in the right place at the right time, the recent performances have been evident to Duffy's claims of having a top-quality positioning sense. The Mohun Bagan marksman has also established himself as one of this generation's acrobatic strikers and will be a real threat for the East Bengal defenders to deal with in aerial threats. Duffy will also be a key figure in order to get goals against East Bengal as the striker's pace and dribbling abilities will be expected to take advantage of a rather slow East Bengal defensive line. The hosts had secured the signing of highly rated Ugandan center back Ivan Bukenya in the recently concluded transfer window, who has been a revelation in the East Bengal defensive line-up this year. Bukenya has played in all of the League matches for the East Bengal side who have conceded only three goals in the competition till now. A leader in the East Bengal defense, Bukenya offers a viable physicality to the East Bengal rear guard. With the attacking prowess of Mohun Bagan to handle, rest assured there will be a big onus on the Ugandan defender to suppress Daryl Duffy to the outer fields using the physical battle. East Bengal's midfield general, Mehtab Hossain will be the key figure in the midfield against Mohun Bagan this weekend. 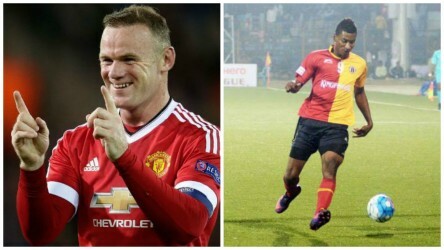 The veteran defender has been widely regarded as a powerhouse in the East Bengal squad since long. The defensive midfielder, who is also regarded as one of the best in India in his particular job might be playing in a deeper role considering the attacking prowess of the Mohun Bagan team. A visionary midfielder, Mehtab offers cutting edge passes to the team forwards in both short and long runs. Not afraid to play a direct game, Hossain will be the reason of the physical presence in the midfield and also could be a key figure nullifying Mohun Bagan attacks and recovering possession from the opposition on Sunday. With all that has been said and done, Mehtab is expected to sit deep in the middle, defending deep and limiting Bagan's creative opportunities around the final third which might emerge as a tacky but effective way in order to limit the Mariners' chances to score. Just the opposite side of the same coin, Pronay Halder is set to be Sanjoy Sen's favorite weapon in the middle of the field. The 23-year-old midfielder who creates a defensive perimeter shielding the back four in Mohun Bagan squad will be a key figure against East Bengal. Halder offers a much-needed physical presence in the midfield and also a visionary passing maestro for the Mariners' side. 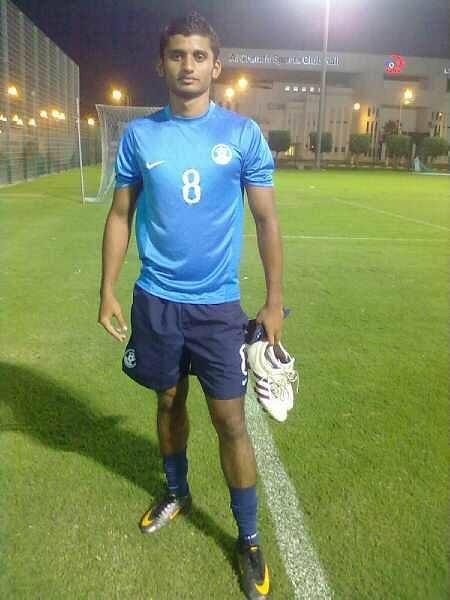 Halder also possesses quick feet, tracking back to the deeper end of the pitch as well as while going forward.